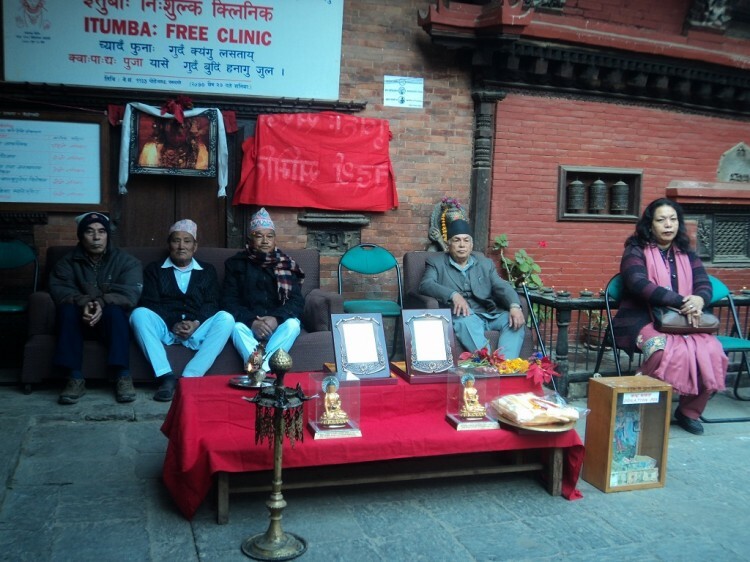 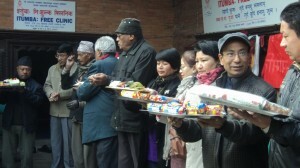 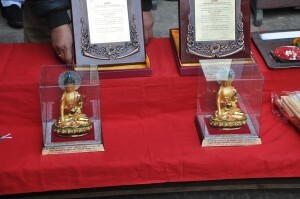 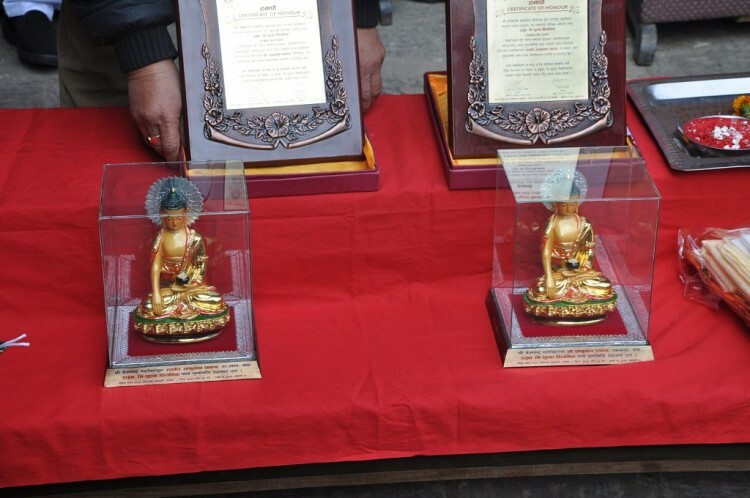 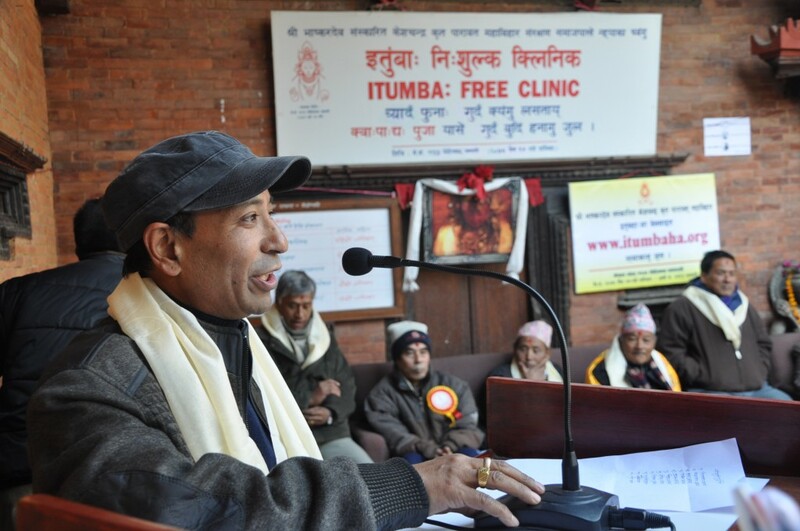 On the occasion of 9th anniversary of Itumbaha Free Clinic Buddha Puja was held at Itumbahal premises. 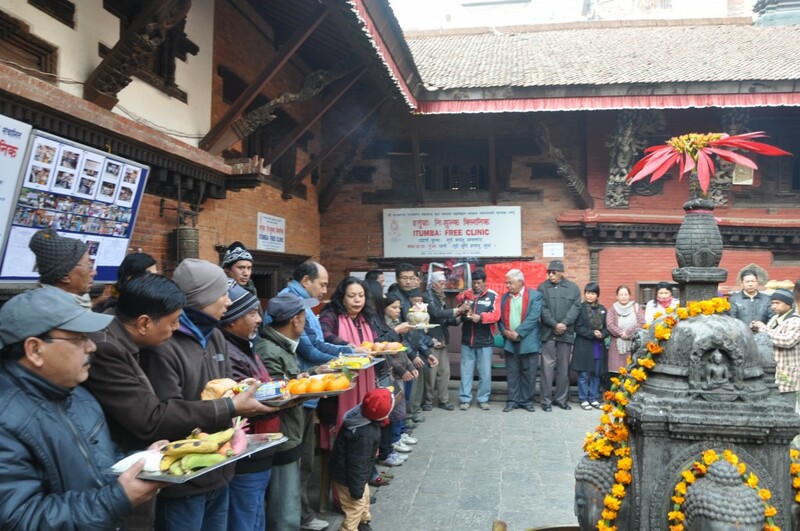 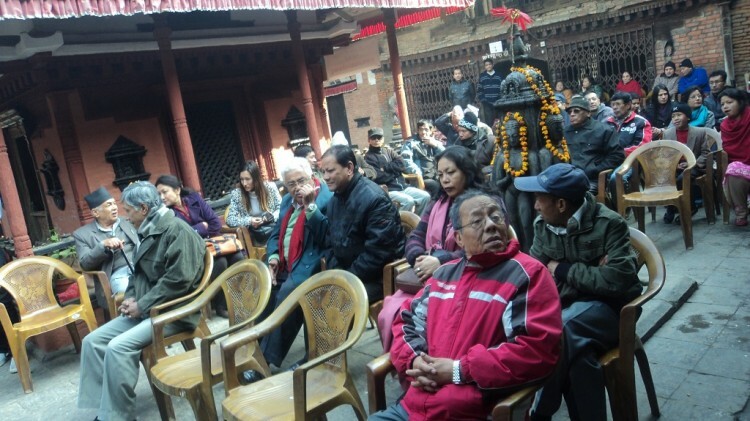 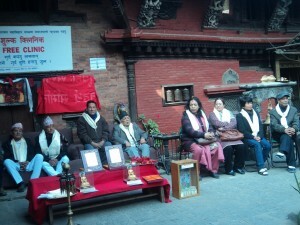 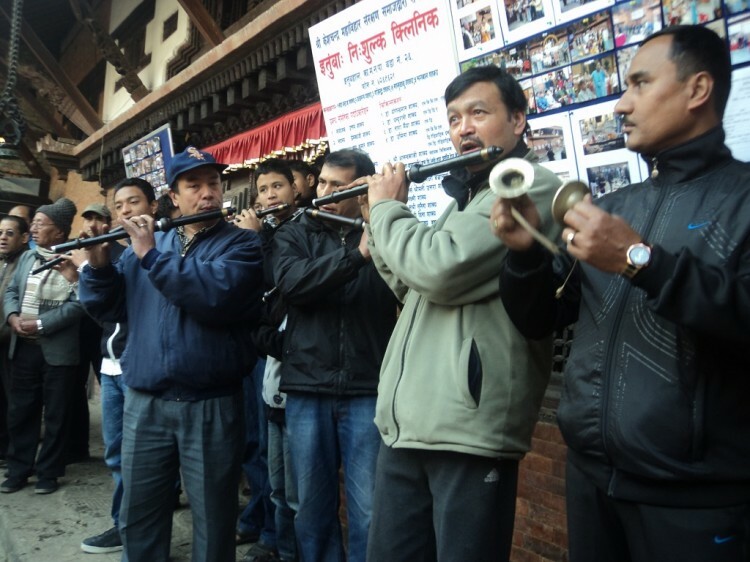 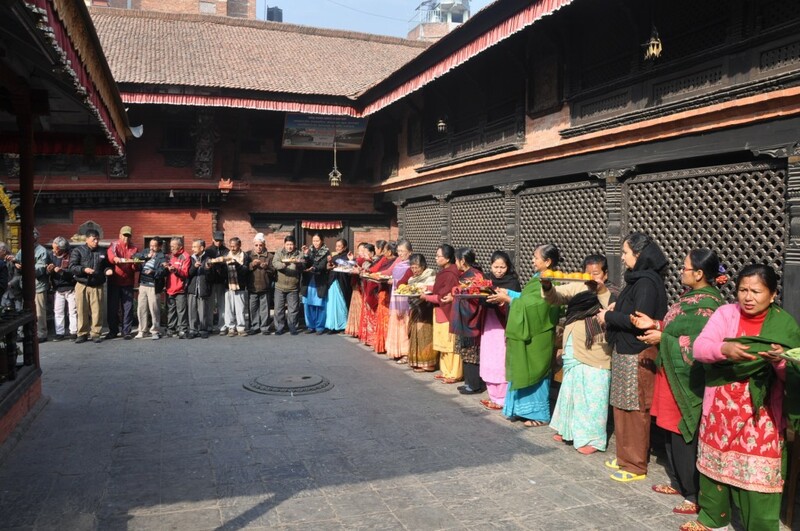 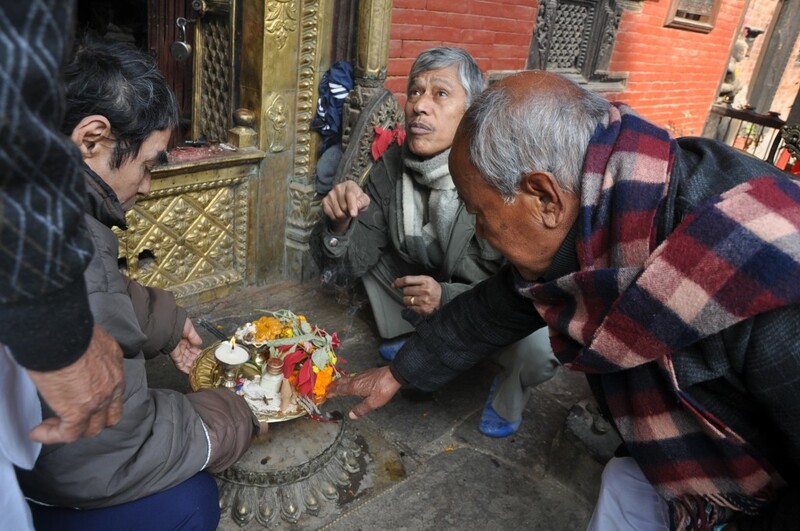 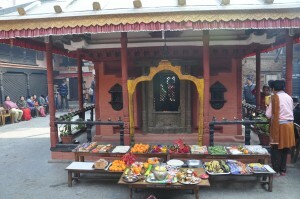 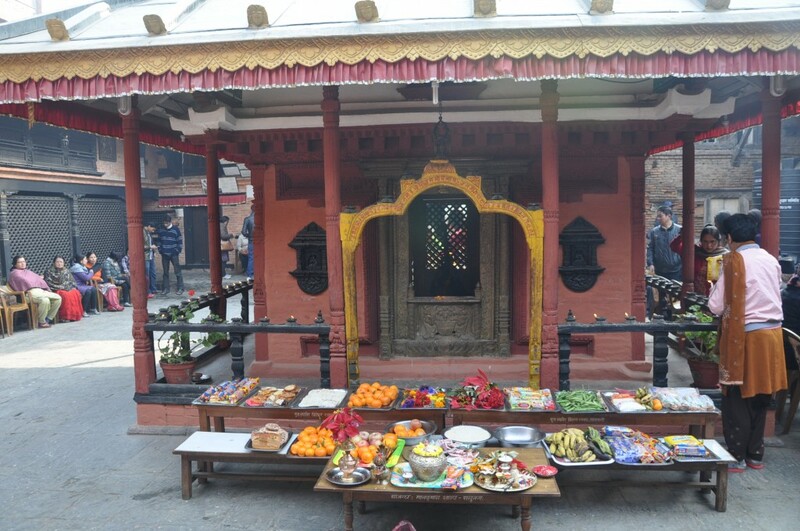 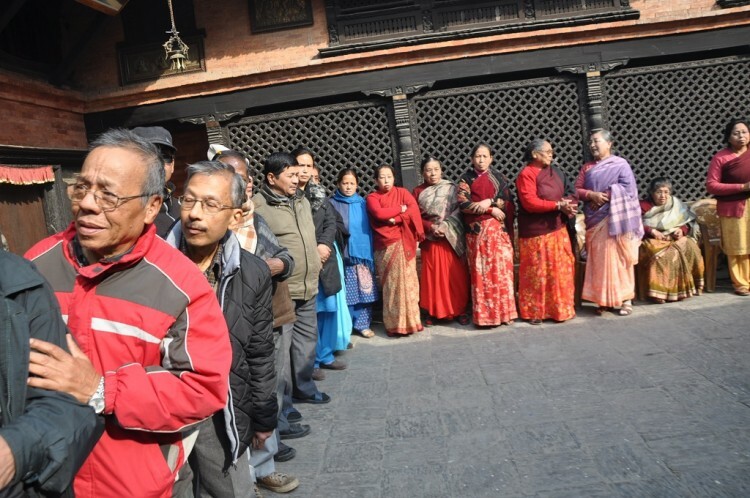 All the Itumbaha Sangha members were a part of Kwapadyo Puja commenced by Gurujyu Nhuchhe Bajracharya. 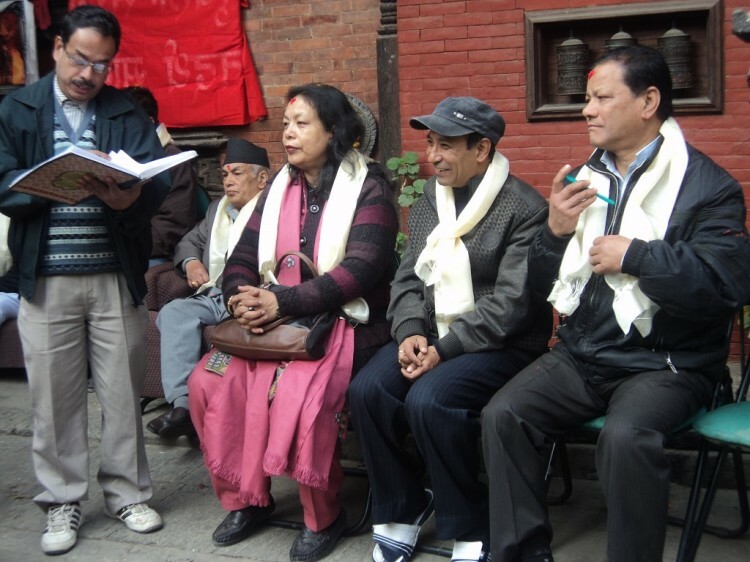 Mr. Pragya Ratna Shakya had conducted the program, Mr. Pushpa Shakya gave welcome speech and Mr. Suresh Shakya had presented the yearly income and expenditure. 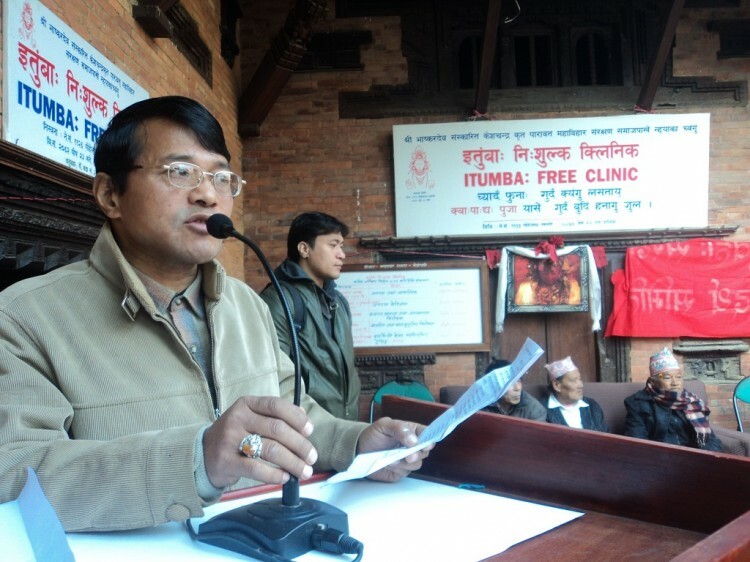 Similarly Itumba Free Clinic Coordinator Mr. Uttam Shakya gave speech of Thanks at the end of the program. 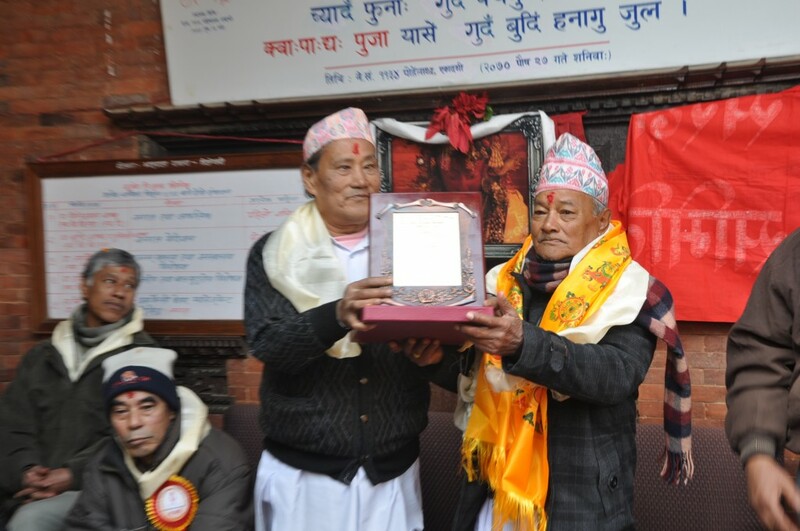 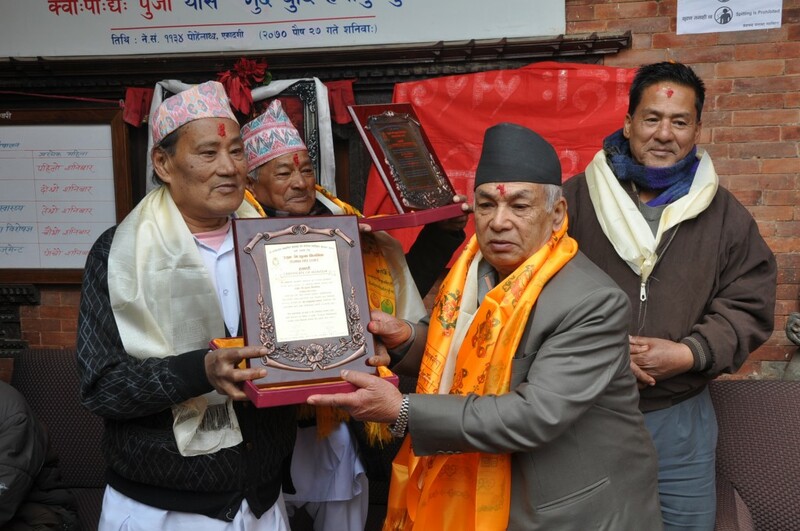 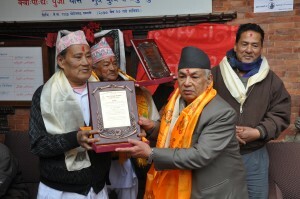 Sthabir Sanuman Shakya of Gaajyasa and Mr. Sanuman Shakya of Paknajol were honored during the program.